Great post for answers to yes/no questions. 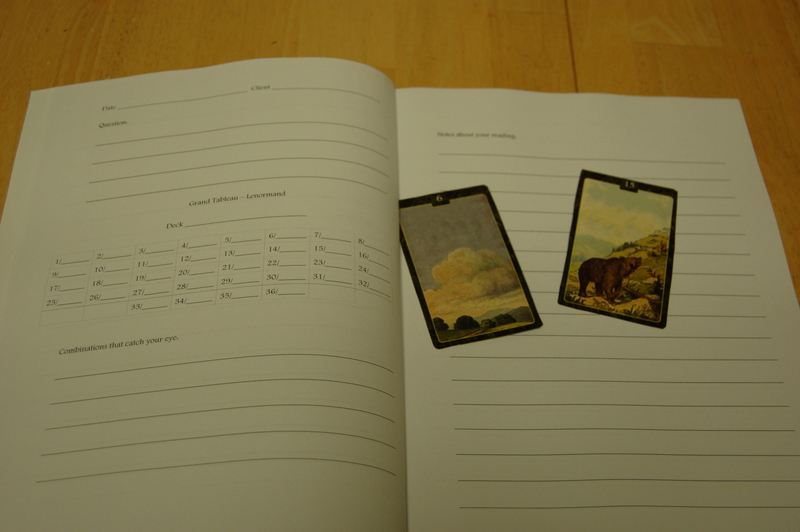 Shorthand Tarot – What makes a Tarot card? 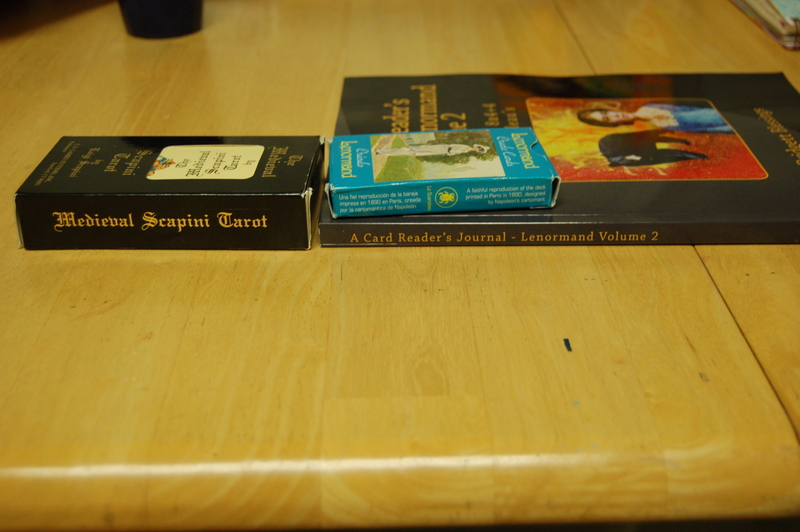 When doing Tarot readings, I consistently look at all my deck and then carefully select….the RWS. Or at least an RWS based deck. I love to work with the Marseille deck privately, but seldom use it with a client. I like Thoth and Deviant Moon to explore, but seldom use them with a client. When I am finished with a reading, I take a photograph (or screenshot in online readings) to “write down the reading” for reference and to give it to the client. A while ago I thought it would be a good idea to have a way of noting down readings by hand. To be able to do something wihtout a smartphone, internet access and all that comes with it. Of course one can simply write the names of the cards, but that was not what I looked for. I wanted something quick and unique. I am familiar with a lot of systems to write down information quickly, such as shorthand notation, Juan Tamariz’ system of symbols to write out magic performance instructions and others. But they all suffered from a serious drawback: For me and the client they do not capture the essence of the reading. 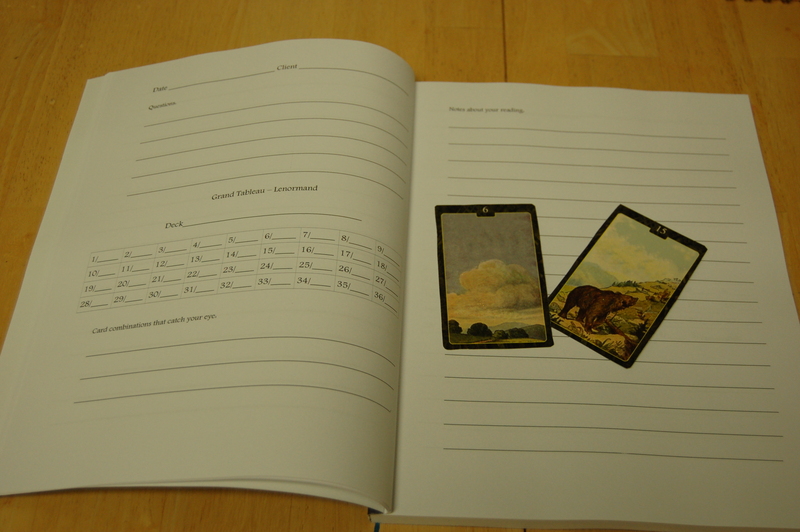 The client has to recall what the card looked like in order to recall the reading, which is difficult from abstract symbol. 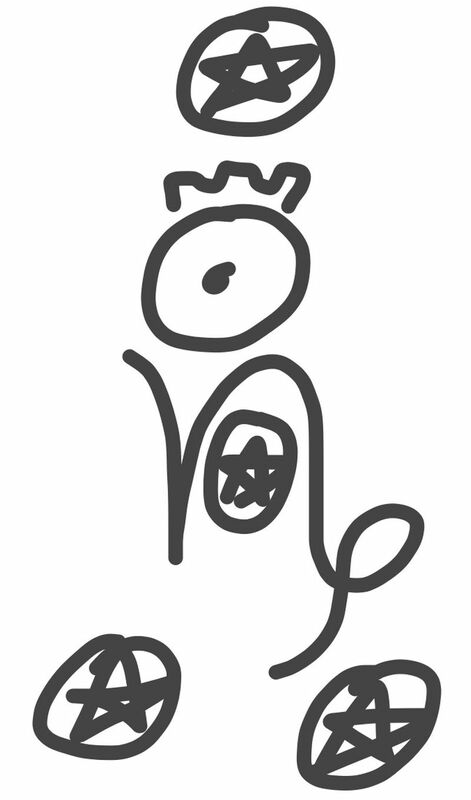 My abilities as a graphic artist are seriously limited so drawing each card was no option. I tried to work out what exactly I wanted to have and came to the conclusion that I wanted a sort of Icon which would convey the Gestalt of the card, its general look and its numerical, elemental and astrological symbolism without words. These are the things I most often refer to in readings, so they needed writing down. Do these things constitute what a Tarot card is? I think not, there is more, obviously and less as well. To some a Tarot card is an artwork, nothing more. To others it is a projection of a full esoteric system on a symbolic representation, nothing less. 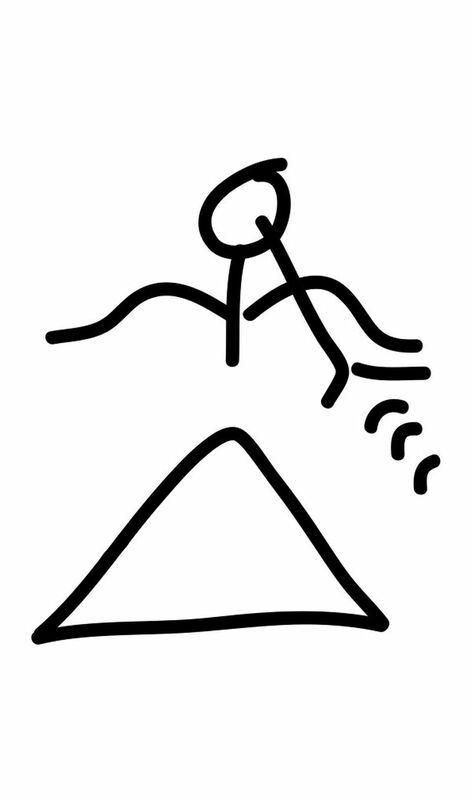 Still, I tried to have this information as my minimalistic tarot shorthand. Each card should be drawable as just line art with a single thickness pen, and in less than a minute. Plus my sore head needs to remember 78 silly pictures, so too much detail could not be included. Thus I developed what I now call the Shorthand Tarot, by no means the only version of a simplistic handdrawn cards, but to me, useful ones. I now use them for notation and also for other activities, subject of future discussion. I would love to see what you think and what you make of the two cards below. 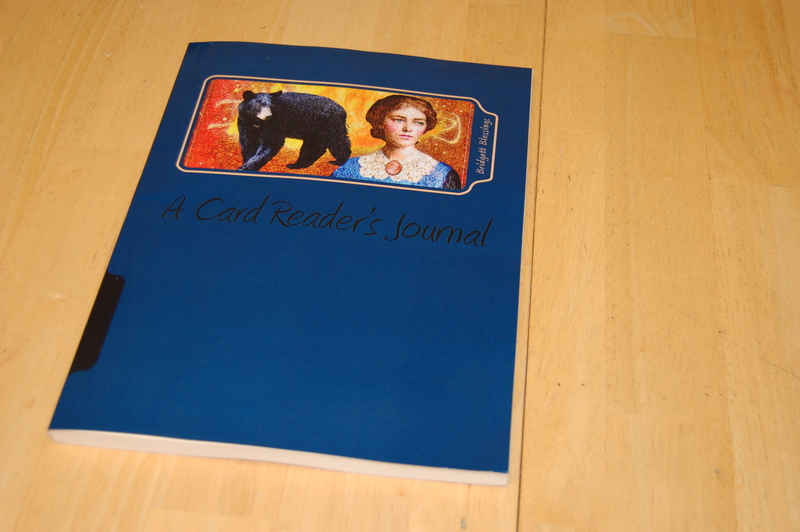 Journals – 3 different ones to choose from! I have good news. 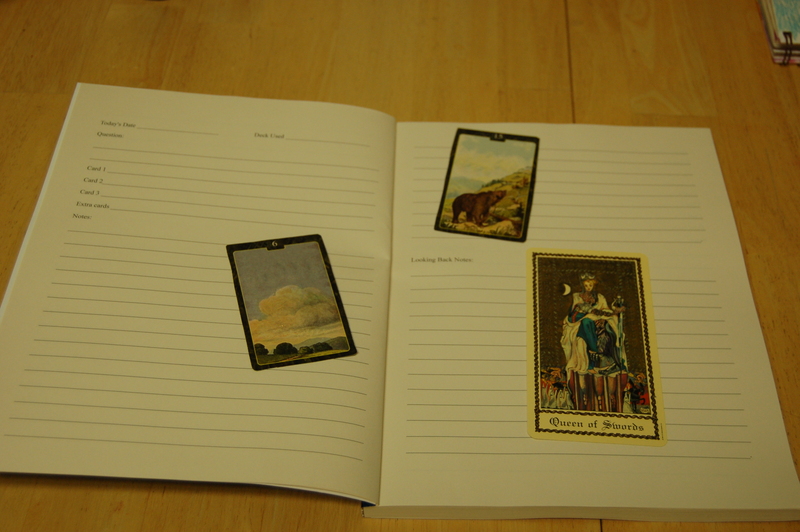 If you are like me, and draw daily oracle cards and record them into notebooks for later reflection and learning, I have created the perfect Card Reader’s Journals for you. They will be available shortly on amazon.com websites, but for now I will share the links with you where you can get them before then. I got tired of writing my readings in a notebook, and then forgetting where I put the notebook, or which color notebook I put them in when I needed to reflect on the readings in them. There are other journals, not many, that “kind of” let me record what I need to in them, but to be honest, they were just not the exact thing I was looking for. So with that said, I thought, why not just make my own? Once I did this, I realized how much I love them, so I thought I would share them with other like minded people. Remember the softcover workbooks at school that fold over nicely, and lay flat so you can write in them? That’s what these journals are like! Seriously, they are awesome! 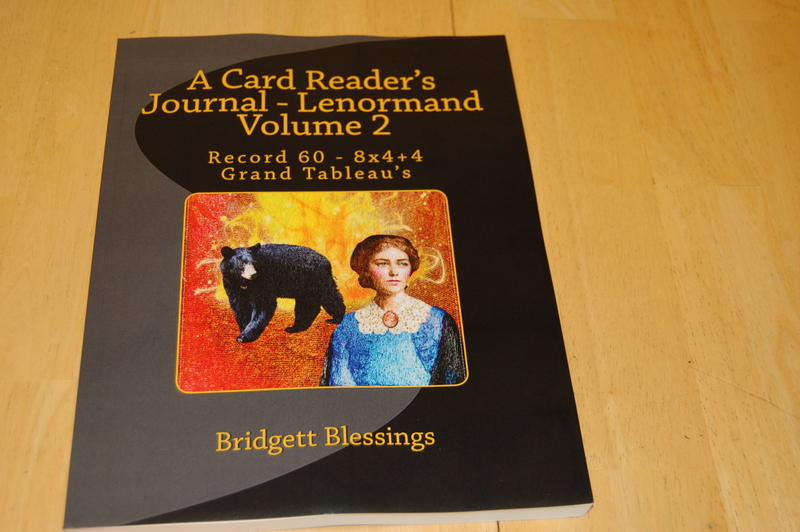 I have been reading cards for over twenty years, so these are actually made by someone who knows a bit about recording a reading in a journal. I do hope you like them as much as I do! Please go over to her Facebook Page where you can win a tarot reading (today only) or book a reading with our fabulous Jillian. 25 May 2013 – 30 Day Tarot Challenge! What are you going to do this year to celebrate National Tarot Day?? Some of us will go out and buy a new deck of cards. Some will offer free readings. Or our friend, Rootweaver here, will be releasing her new Lenormand deck !! 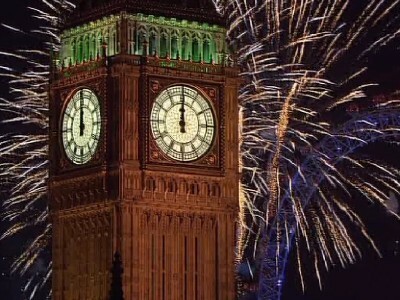 How cool is that ? I have decided that my personal celebration will be to educate those who know little about Tarot, or those who want to learn more intuitive style reading, by offering my very own 30 Day Tarot Challenge! I am in the midst of preparing it right now. It is taking a bit of work, and much typing, but I am sure that it will be of great value to all those interested, and best of all anyone can join, and it’s FREE! I challenge you to give yourself to me, and the Tarot for 30 days – deck, pen and journal in hand, and a commitment to dedicate yourself to the challenge. I will give all those wanting to join in on the fun more information on May 25, 2013 – in honor of National Tarot Day. So keep your ears open, and your eyes on The Tarot Taxi. Let’s create a wonderful environment of like minded people and get to know each other a bit while completing a really cool challenge. 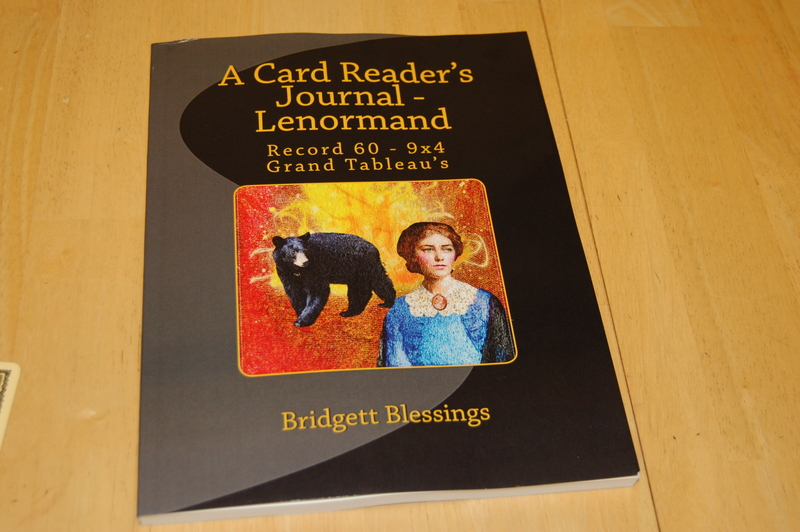 Those who participate the most will be entered into a drawing for my own creation of the Lenormand deck – Vibrant Visions. Spread the word folks, and don’t forget a bottle of wine. When one sees the three of swords come up in a reading, their first reaction is usually, “yikes,” or “yep, I knew that already.” This card is not to be taken lightly. Of course you knew that already! Look at the image in this card. This sort of pain doesn’t just happen over night. It is usually a good indication that one has been hurting for quite a while, and that they are probably in denial. Even if it’s not what one wants to hear, they need to. You are actually doing them a favor by helping them prepare for what they already know is inevitable. Just keep your heart in hand, because your compassion as a reader will make all the difference in the world to them. Legacy of the Divine Tarot, By Ciro Marchetti is a fascinating deck. 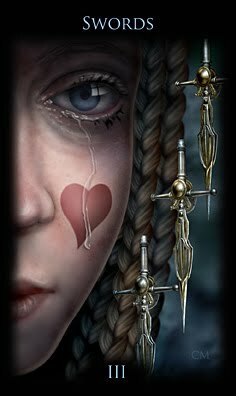 It’s image in the three of swords is of a woman who is already very aware that she is hurting. She’s already gone through the majority of the grieving process, and for her, this card in the deck is sort of a card that says, “I understand. I see what you are going through. You will be ok. You’re not alone.” The good news is, after all the tears and all the pain, comes acceptance. This card is showing your client that it wasn’t all in their head, what they feel is very real, and a normal part of life. If you turn the three of swords upside down for a moment, you will begin to almost “feel” the heart starting to heal. The swords are heavy, and so is the grief. Soon gravity is going to release these swords from the heart, and from that moment on it can begin to recover. It will not be easy, but if you accept that the pain is real, and that it’s going to take time to heal, you will be that much closer to feeling whole again. You have survived your own personal tragedy. No matter how big or small it is to someone else, it is your victory. See how strong you are? I usually do a follow up with my client to make sure that they are doing fairly well. I don’t know about you, but I do what I do because I believe in the power of light, and love. I take others feelings very seriously. I like to help point them to the light at the end of the tunnel. I know all too well the agonies of life. 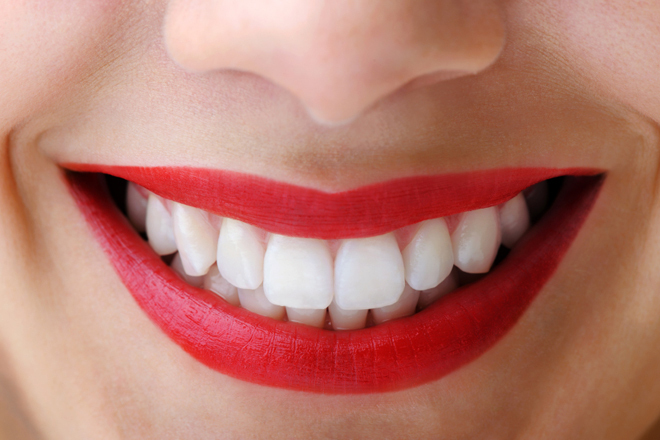 Remember what I said before; the power of a smile is awesome! If you don’t believe me, walk into a room and smile at someone. I bet they smile back! Smiles are contagious and they somehow lift the heaviness from ones heart. Even if one can not see your face, they can hear your smile in your voice! The first issue of dePepi magazine features Rootweaver’s Vintage Lenormand, one of the most beautiful and gorgeous Indie decks on the market right now. You can get your magazine HERE.